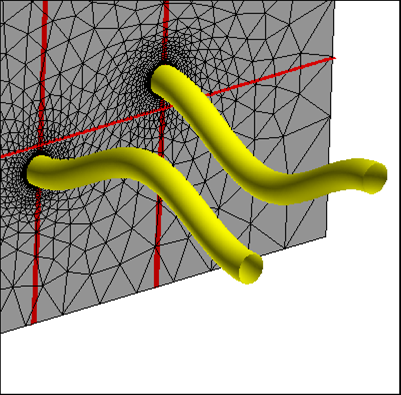 CENTAUR adjusts an existing hybrid mesh conforming it to moving boundaries. The motion could be flow-induced, or due to geometry shape optimization, or prescribed, or due to a moving fluid interface, etc. The connectivity of the mesh does not change. Mesh movement requires significantly less time than a completely new mesh generation step. No additional setup time is required for new variations to the geometry.